With a smartphone in your pocket it's easier than ever to create a great short video. A little bit of planning and practice can go a long way, turning a bog-standard video into something fantastic. 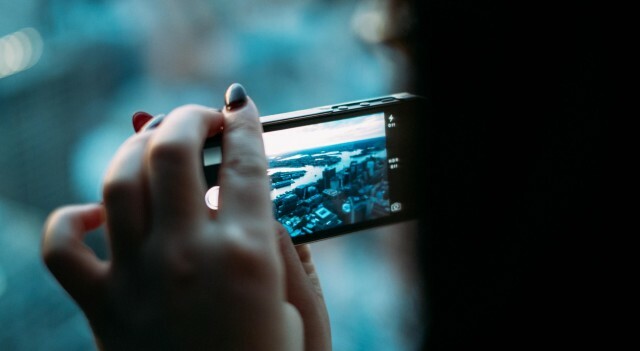 Here are some top tips for shooting videos with a smartphone. Watch this great video by the BBC Academy on filming with your smartphone to get started. Turn your phone to flight safe mode so you don't get interrupted and lose everything during filming! Set your screen brightness to high so you can see clearly what you're filming. Film horizontally in landscape mode so that your video works well on computer (and TV!) screens. You can crop your videos afterwards to be square if you're publishing them to social platforms where square videos look better. Set up your shot using the exposure and focus square that appears on the screen, making sure you have a good exposure that isn't too bright and isn't too dark. You can tell your phone to lock onto the most important area of the screen. If you're filming in a quiet place you can use your camera's microphone. Make sure you don't cover the mic with your finger though! If you're recording someone speaking it's worth using a plug-in microphone, or make sure you're very close to your guest. Lots of people already have a hands-free headset with a built-in mic though, and these can be used as your mic for filming video! Just plug them into the phone and try and hide the cable from the shot as much as possible. If there's a lot of background noise where you intended to film, try and move somewhere quieter! For really good sound you can use a good mic and even a different smartphone to record the audio. Make sure you do something like a clap on screen so you can sync up the images with the audio. If you're on the move and shooting without a tripod lock your elbows to your body to keep your camera as steady as possible. It's even better to lean on something stable. For static shots prop your camera against something still, or use a smartphone mount and a tripod. Establish where you are with an establishing shot. Use lots of different shots, changing the camera angle, to keep things interesting for your viewers. You can use the trim controls in your camera to take a shorter clip from your video, simply trim and save it as a new video. There are lots of free and cheap editing apps available which you can use to edit your video with. 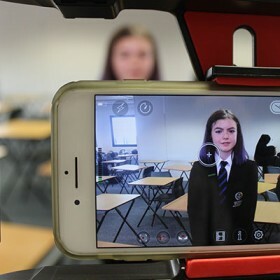 Watch this BBC Academy video intended for journalists on how to film and record on a smartphone.